The smallest bomber in the fleet, the Athena has oftentimes been mistaken for a fighter. However, one should not be fooled by its small size. The Athena can carry light bombs, and most missiles. It also has the ability to dogfight well. Its strong shielding and hull make it the favored "Lightning Bomber" of the GTA. 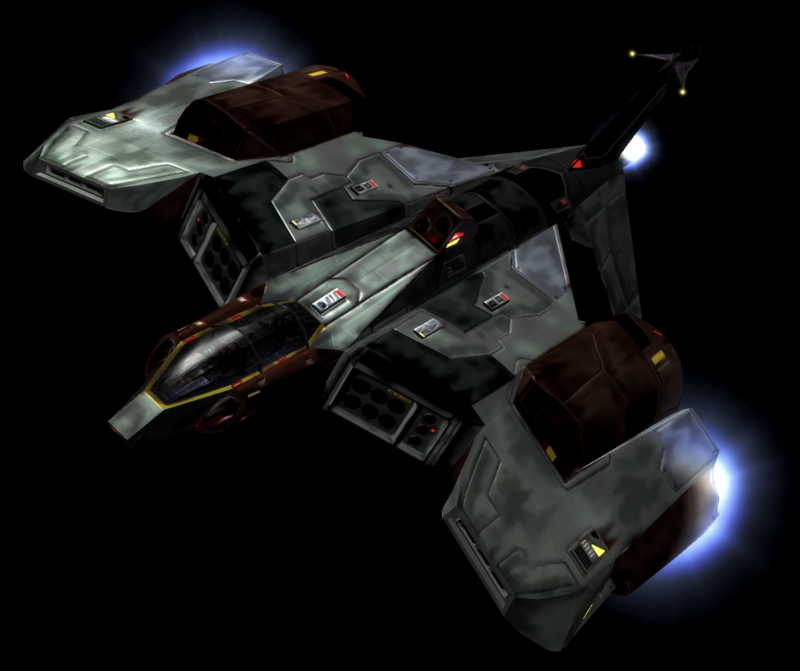 3DS to Voxel conversion of the Athena bomber from Freespace.